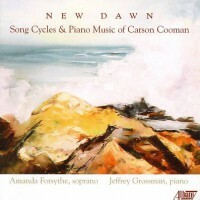 Oakdale Sketchbook (1997) for piano is dedicated to the composer’s brother, Colby Cooman. Inspired in concept by Robert Schumann’s Kinderszenen, this work is a set of quirky character pieces drawing upon scenes from the composer’s childhood neighborhood. It was premiered by Julia Rosolovsky in 1997.